CRAE TECH Has Lunched its Linkedin Page!!! 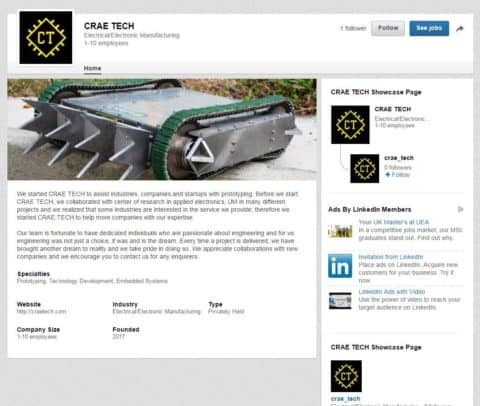 CRAE TECH has lunched its LinkedIn page to reach a wider audiences. Your support for our LinkedIn page is highly appreciated. Stay tuned by following us on LinkedIn. ⟵CRAE TECH Has Lunched its Facebook Page!! !